Purchased the Radfan Medium Classic for our living room. 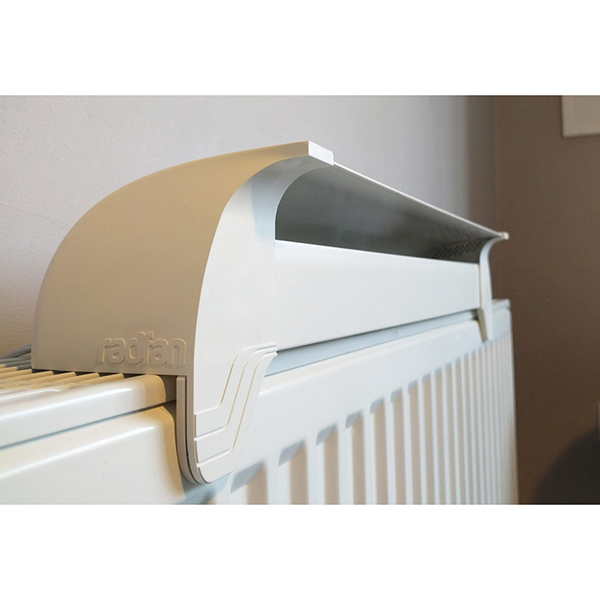 We own an old flat with high ceilings & our living room has a large bay window and only one large radiator. Only had the Radfan for a week and we are already impressed with its performance. Our living room is certainly feels warmer. We would definitely recommend. I found the purchase of the Medium Classic a very simple process as was the setting up of the device. I am very pleased with its performance and it is very quiet in operation. very please. We now have 3 Radfans and cannot recommend them highly enough as they make such a difference to a draughty room. Brilliant idea. Every home should have at least one of them. 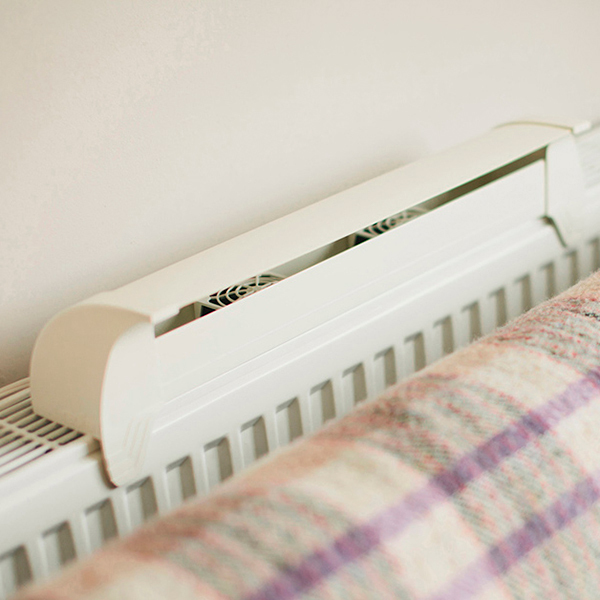 Featuring a built-in thermostat, this smart radiator fan simply runs itself with no fuss, automatically switching on as soon as your radiator heats up, perfect for cosying up as the room turns toasty. 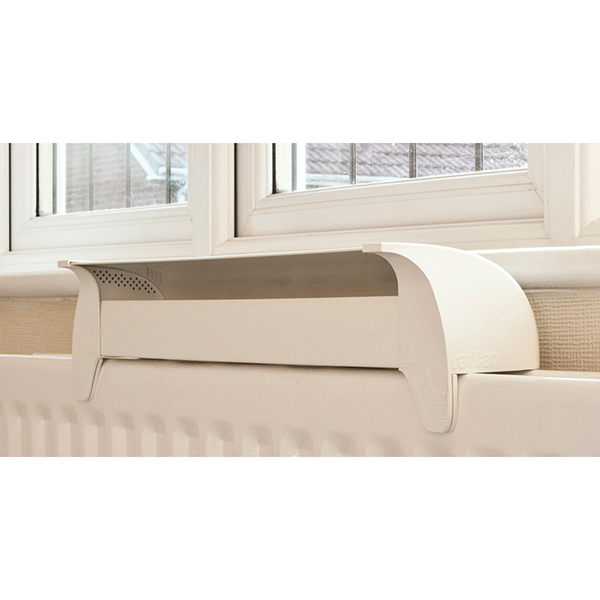 It’s ideal to use on radiators under windows too, efficiently trapping and reducing heat loss through windows by as much as 35%! 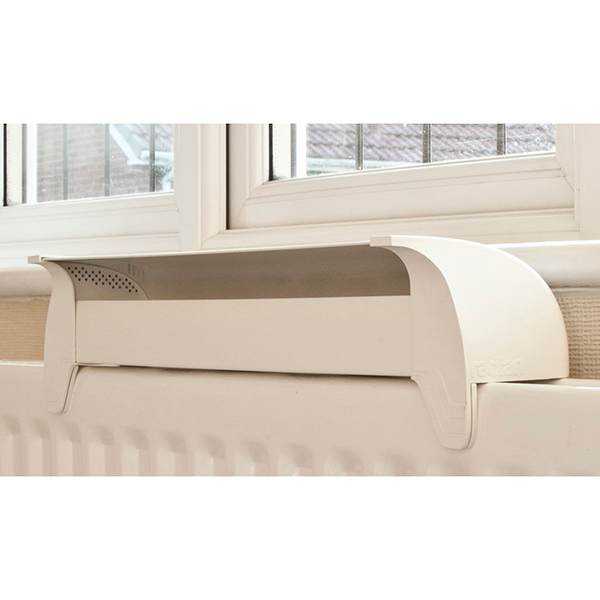 Fitting both small and large radiators, and secured by stress-free magnets with super simple assembly, the Radfan can be moved from room to room effortlessly to meet your needs. 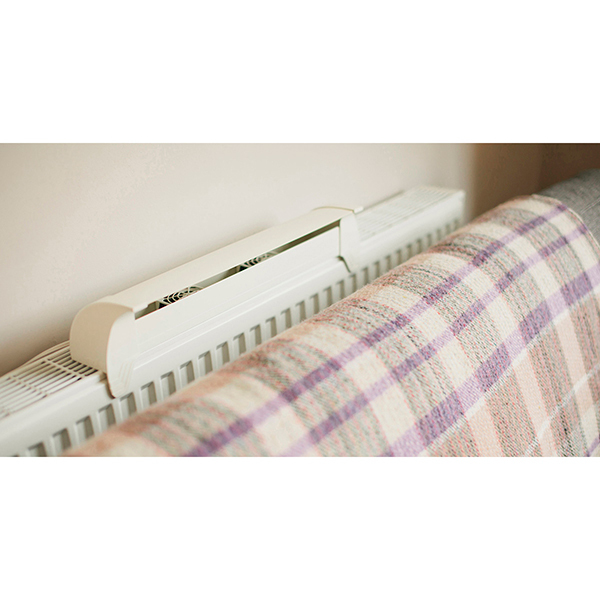 Integrated 3 fan design is exclusive to Ideal World.